Do you love bunnies and rabbits? Do you want to have your own animals? How about to manage the rabbit farm? Okay, enough with the questions! Let's just play new challenging and cute game under the title Rabbit Farmer. Here you are going to help Lucy with managing the rabbit farm because it's hard to do when you are alone. So join Lucy and take care of the cute rabbits, feed them, give them water and medication if needed. 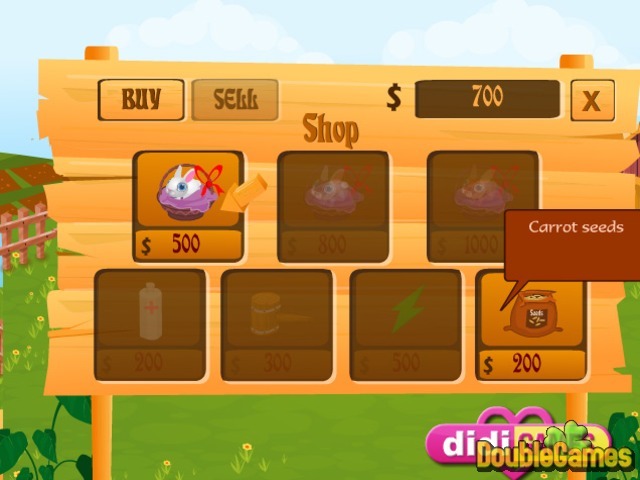 Also you have to grow carrots to feed the animals so you can sell them in future, buy upgrades and sell the items. Have fun at the rabbit farm online! 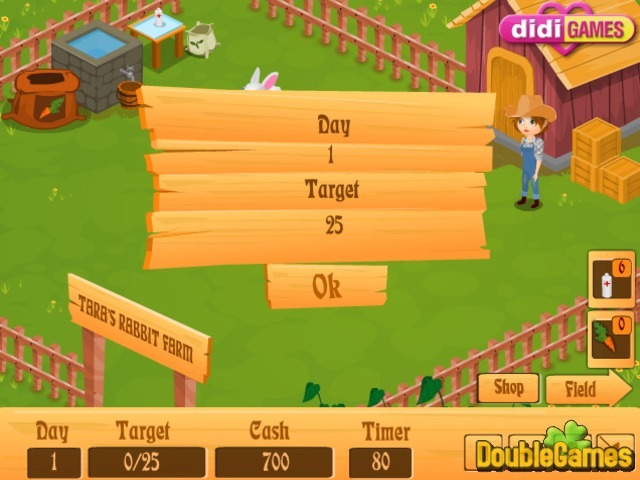 Title - Rabbit Farmer Online Game Description - Here is Rabbit Farmer, a Time Management game given by Didi Games. 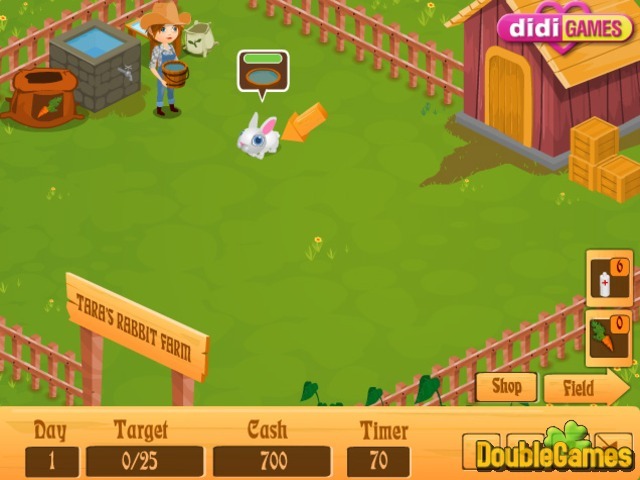 Manage your own rabbit farm, feed the animals and take care of them.